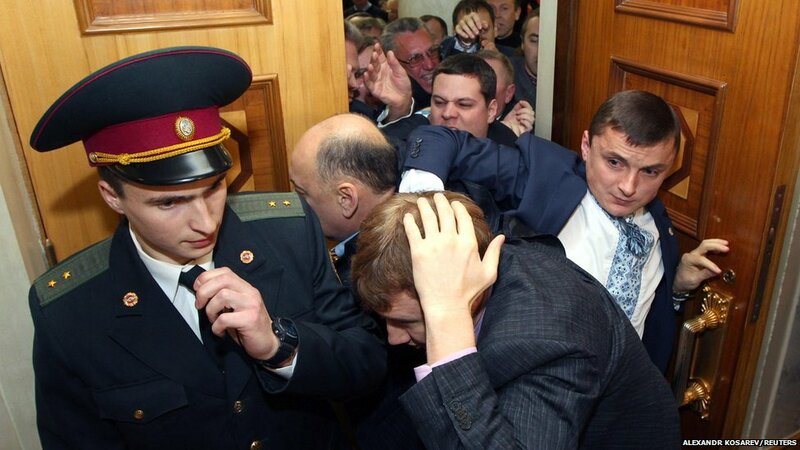 Parliament members scuffle with colleagues at the first session of newly-elected Ukrainian parliament in Kiev. 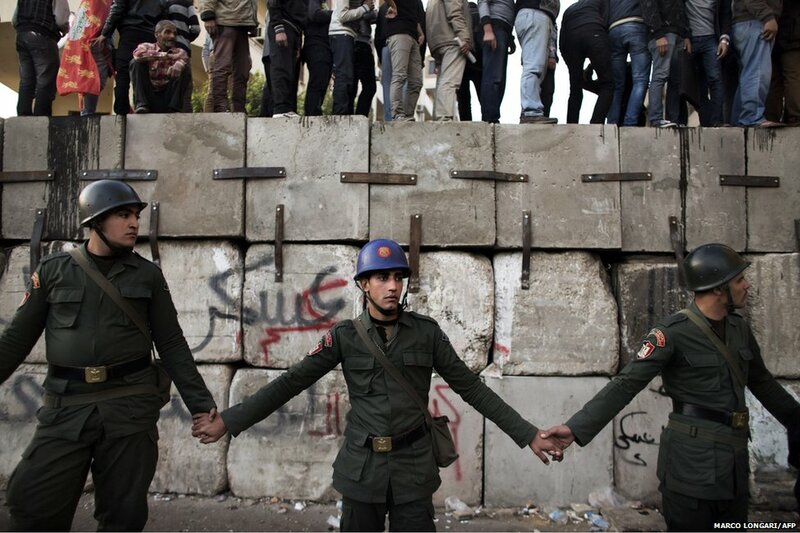 A draft constitution has prompted mass demonstrations across Egypt. 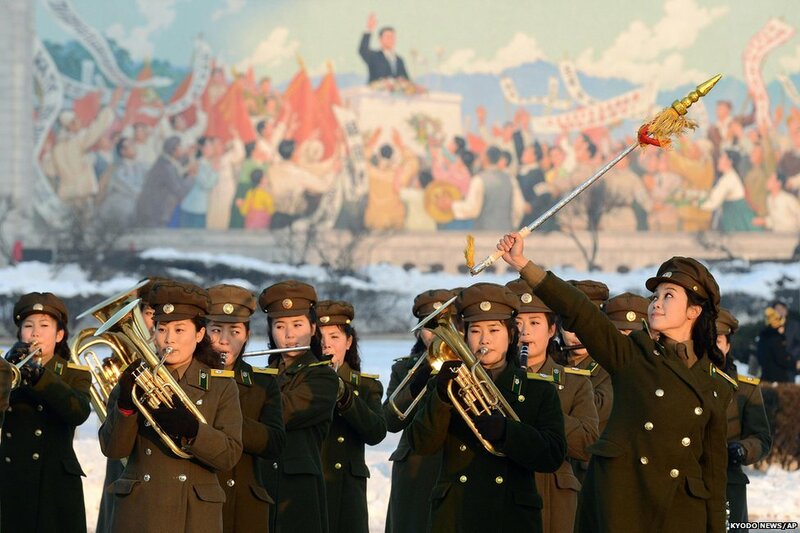 A North Korean military band celebrates after the country successfully launched a long-range rocket to put a satellite into space, as neighbours accuse it of a disguised missile test. 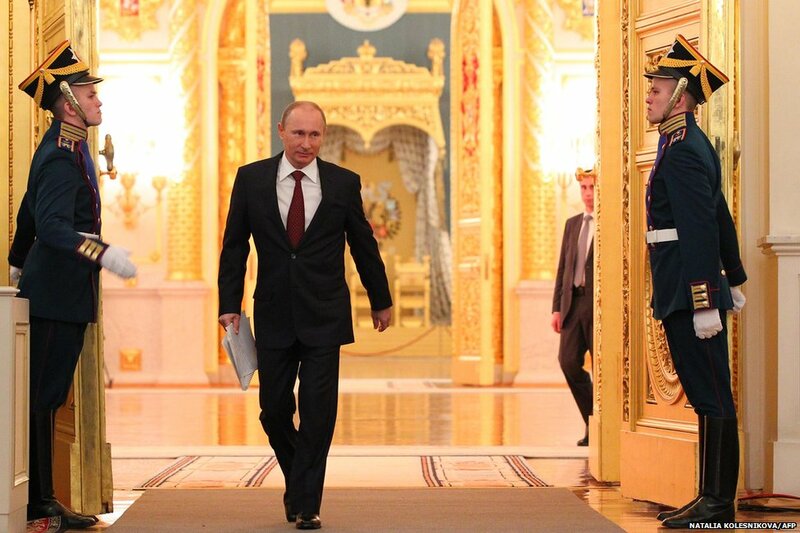 Russian President Vladimir Putin's annual state-of-the-nation address in Moscow was strong on patriotic themes. He has suggested some opposition politicians are in the pay of foreign interests, saying it is unacceptable. 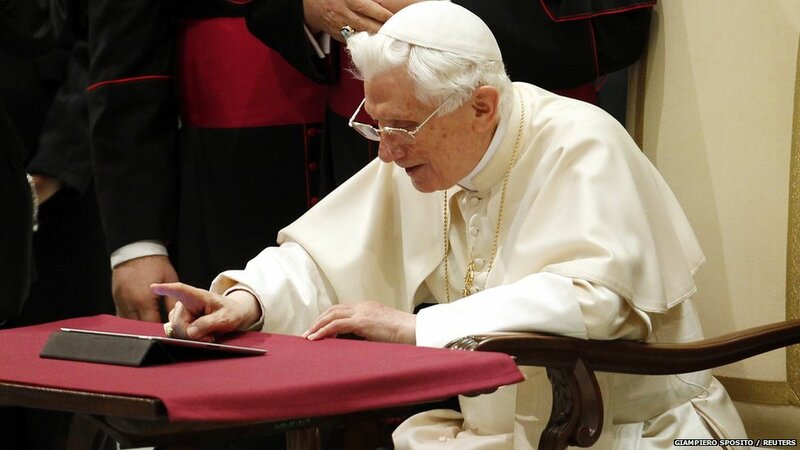 Pope Benedict XVI sends his first much-anticipated Twitter message using the handle @pontifex as his personal account. Across the world couples chose to get married on 12 December 2012 - 12/12/12 - the last day of the century when the date, month and year match. Registry offices in the UK reported an increase in wedding bookings and in Asia couples sought good fortune in the date, like these in Jakarta. The Spice Girls reunite in London for the world premiere of Viva Forever! - a stage musical based on their biggest hits. 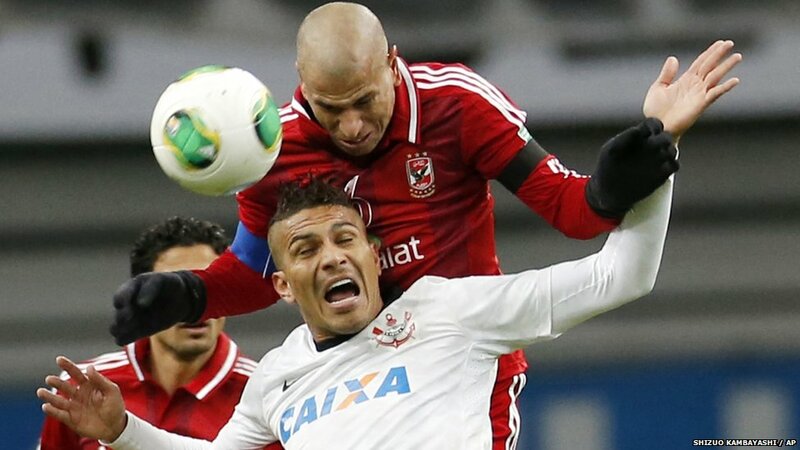 Corinthians' Paolo Guerrero, front, is challenged by Al-Ahly SC's Wael Gomaa during their semi-final of the Fifa World Cup tournament in Japan. 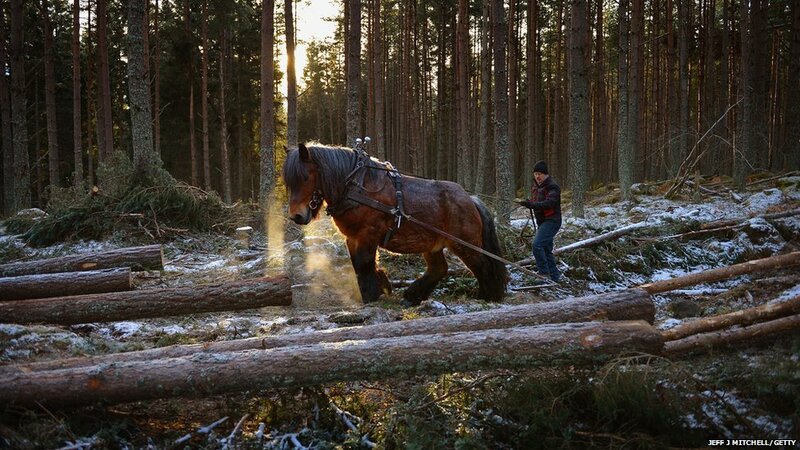 In Balmoral, Aberdeenshire, commercial horse loggers work instead of timber machines. Some people say they minimise damage to the land.